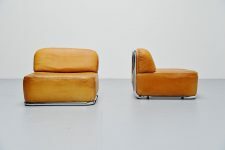 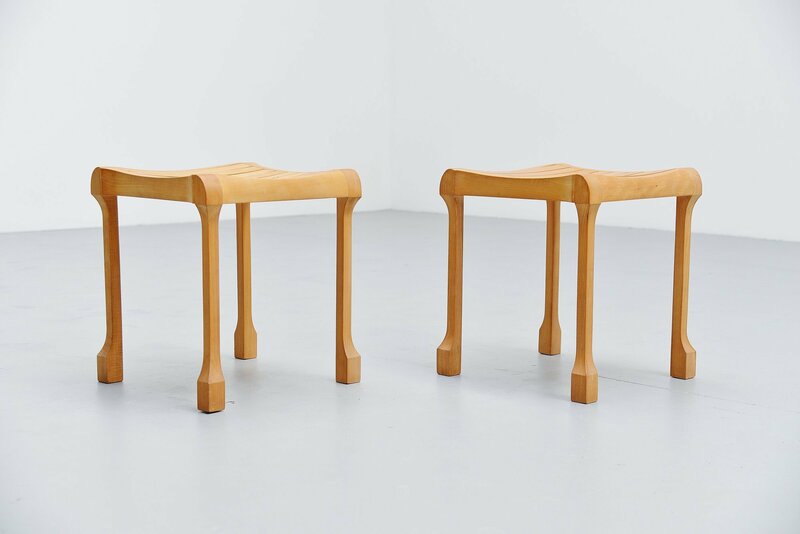 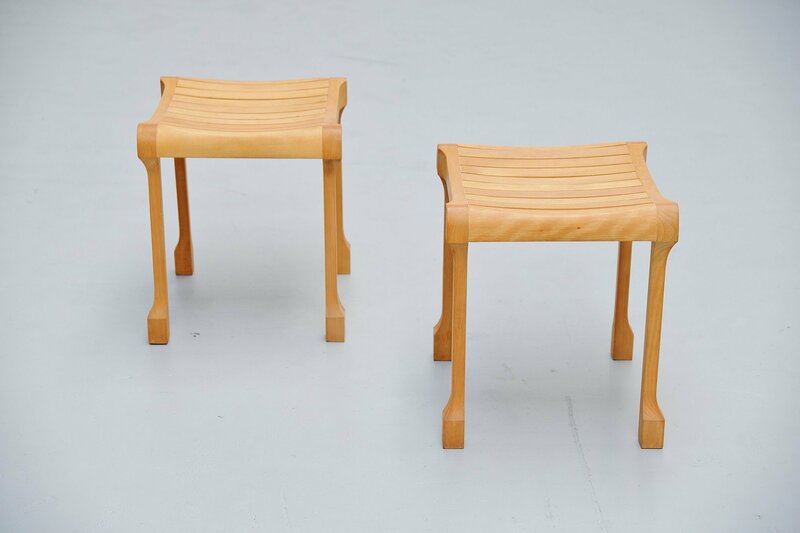 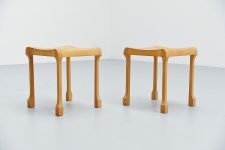 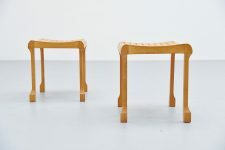 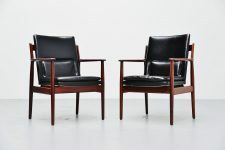 Very nice pair of stools designed and manufactured by Ruud Jan Kokke, Holland 1990. 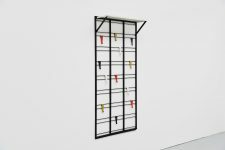 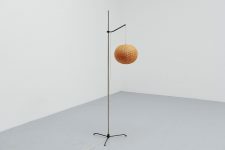 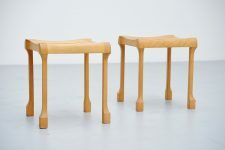 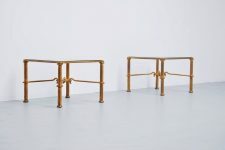 These stools are from the ‘pootjes’ series and were hand crafted in Ruud Jan Kokke’s atelier and only made upon request. 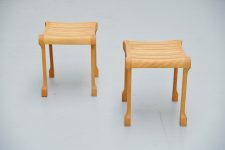 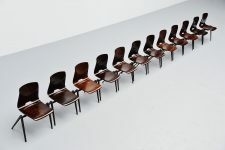 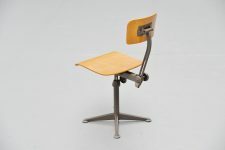 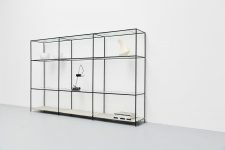 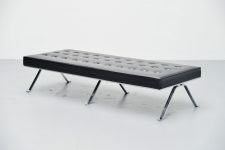 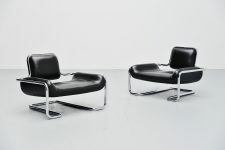 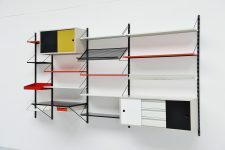 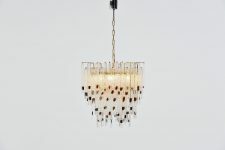 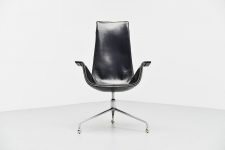 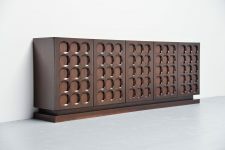 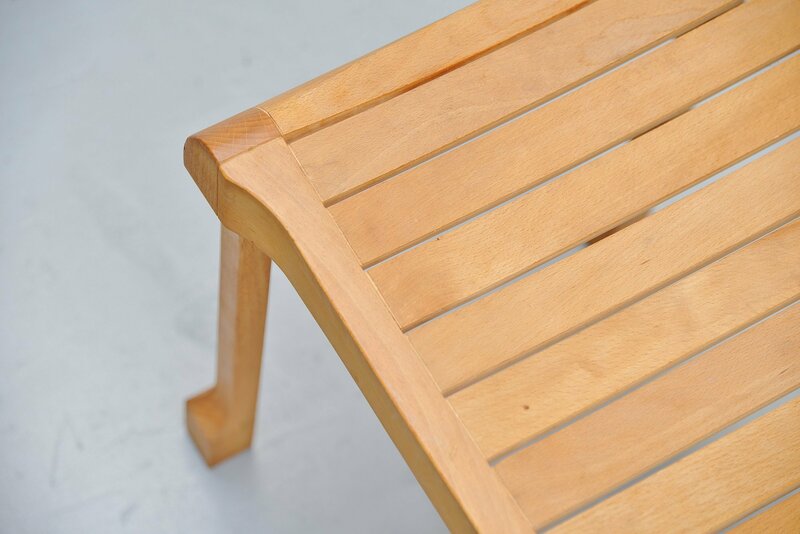 The chairs and stools from these series were made in very small production up to only 100 pieces in total. 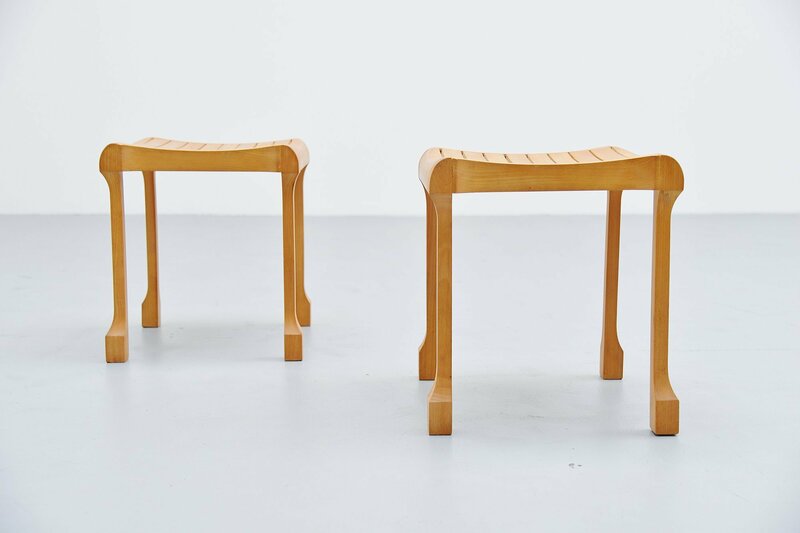 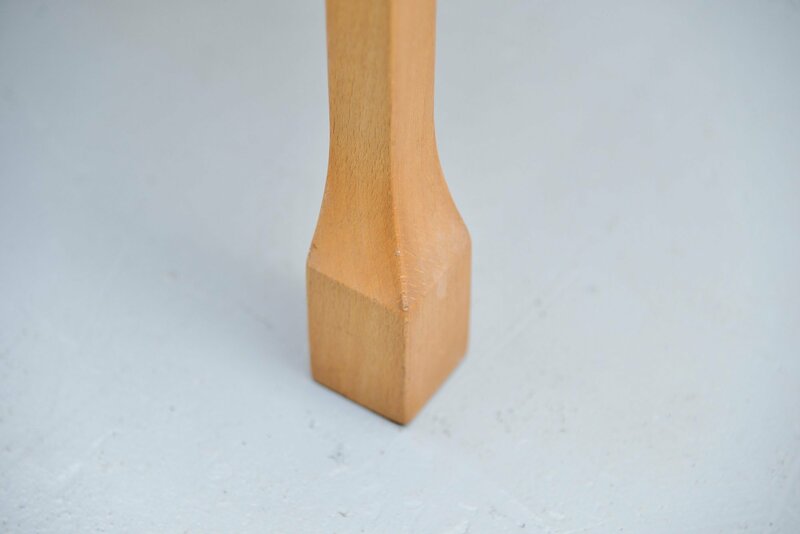 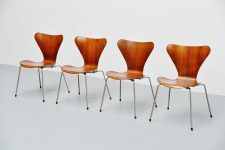 These very nice shaped stools are made of solid beech wood and are in good original condition. 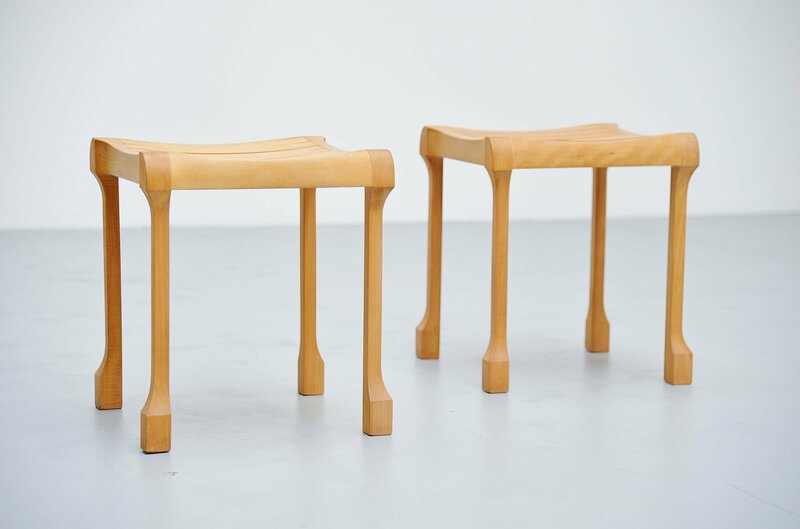 Very nicely shaped pair of stools.